The PeeWee 2 Soccer team continued their winning ways over the weekend. The team followed up their 16-2 victory over St. Christopher’s last week by defeating St. Mary’s of Swormville on Sunday by a score of 10-0. The PeeWee 2 team now has a record of 4 wins, 0 losses and 2 ties. 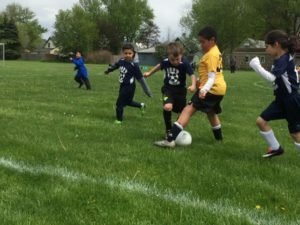 They have been playing some really great soccer and look to keep it up as they finish their regular season with a couple of games later this week. 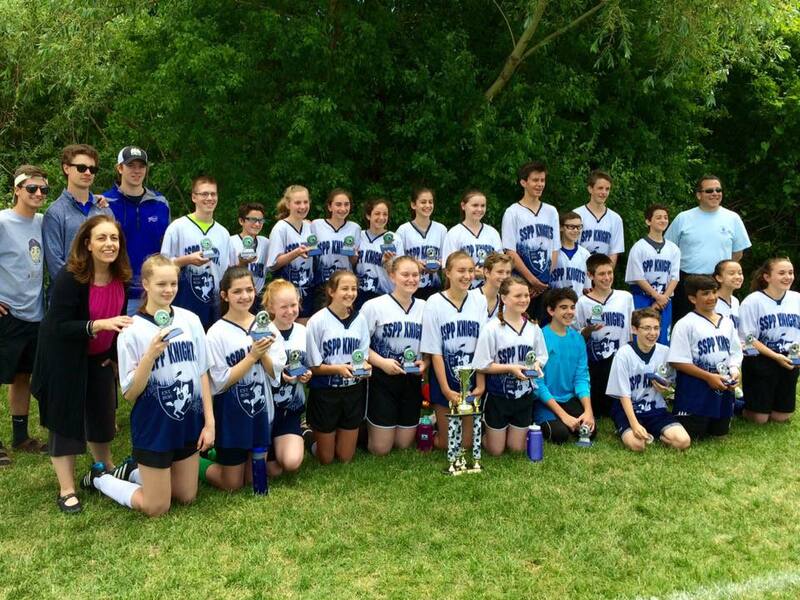 Congratulations to our Varsity Soccer team for winning the Diminuco Cup championship at Park School yesterday! The SSPP Pee Wee team defeated St. Andrew’s soccer team last night 5-1. 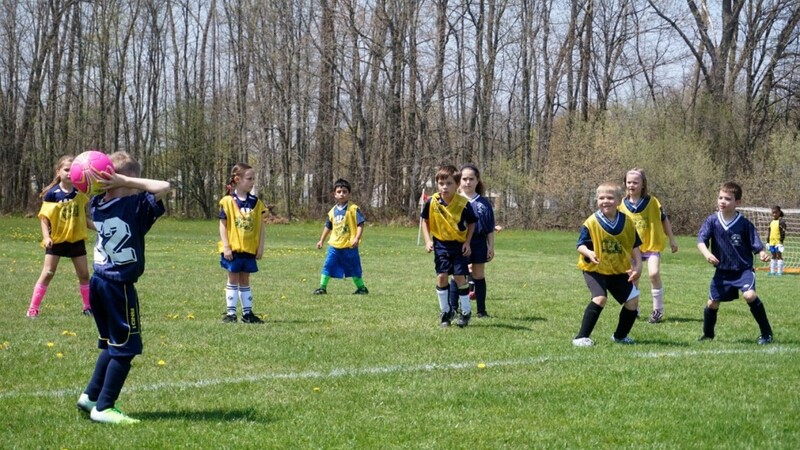 The game started with Gabby A. scoring the first goal. Antonio S. added another goal to put SSPP in the lead. Mariah S. secured the win with 3 goals! Our goalies for the game, Mariah S., Michael O. and Antonio S. did a great job defending our net. A strong game played by Katie A., Lucy V., and Conlen H. kept the opponents at bay. 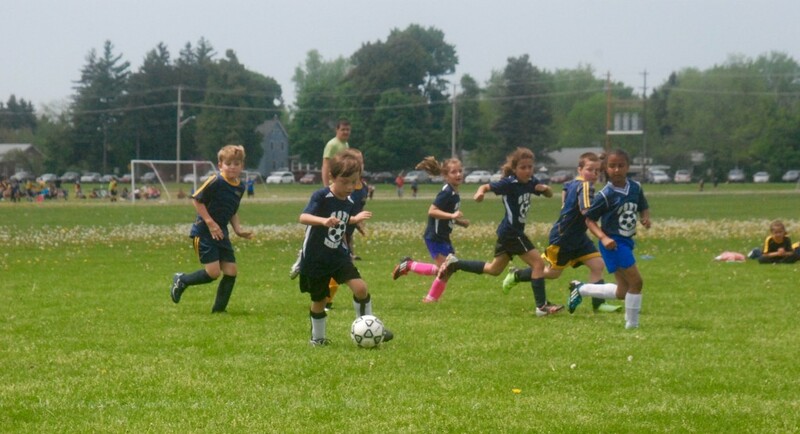 A solid mid field presence from Isabella P., Carly A., and Rebecca S.. Great defensive effort by Joseph E., Brandon M. and Caden S.
Join us to cheer on the Knights at their next game on Thursday, May 26th at St. Amelia’s! 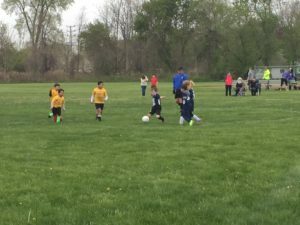 Strong goaltending by our first grade duo of Jacob G. and Tanner T.
Amazing play by our rovers or midfielders Jude V. who scored 2 goals, Brooklyn S. who added a goal to our lead, Lena H. and Madison B.
Noah Y. provided our offensive spark with 4 goals. Brianna A. and Michael U. played a solid two way game, challenging defending players and almost popping in a great goal! 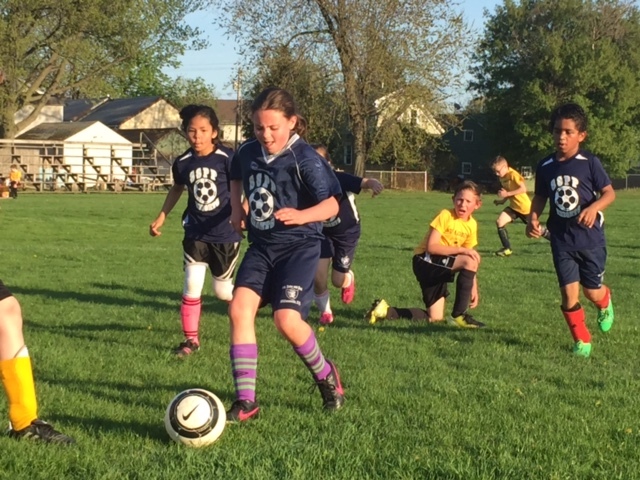 Come cheer on the Mites team as they take on St. Greg’s both Wednesday and Thursday nights! • Strong goaltending tandem of Jacob G. and Michael Q. 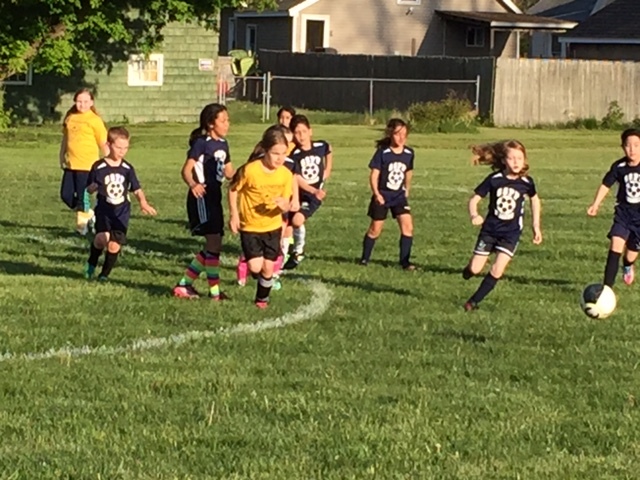 • Great defensive effort by our first grade girls Madison B., Lena H. and Brianna A. 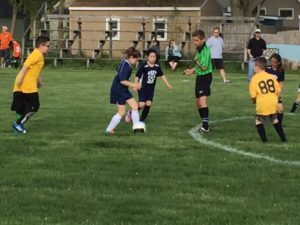 • Solid mid filed presence from Michael U., Tyler T. and Tanner T.
Join us to cheer on the Knights at their 2nd game of the season on Thursday, May 12th at St. Christopher’s school. 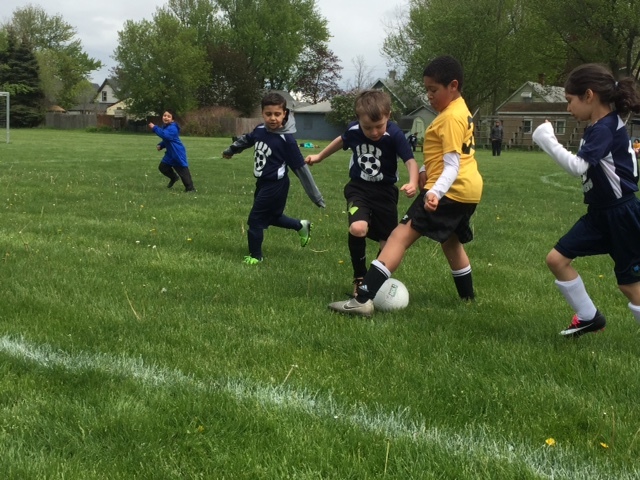 The Diminuco Cup and Mites Tournaments for soccer were played this weekend – Congratulations to the over 80 SSPP students who competed in the events! 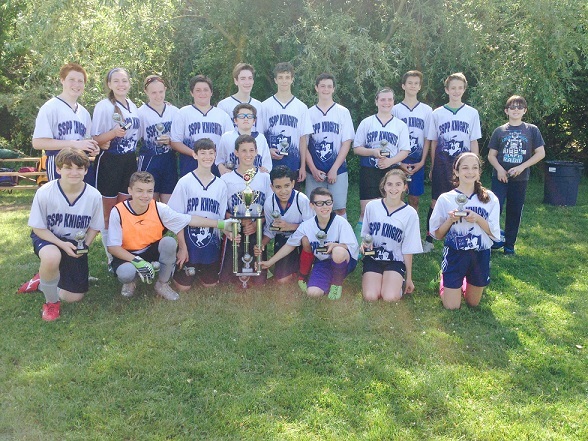 Congratulations also to our Varsity 7th and 8th grade Soccer Team – they controlled the fields this weekend and brought home the Championship trophy!!! The last time SSPP won this tournament was 2011. 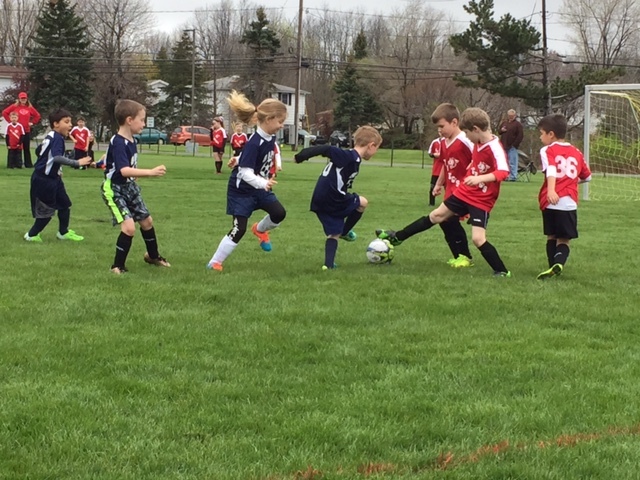 TEAMWORK was the name of the game for Mites Team 1 on Sunday against St. Amelia’s. 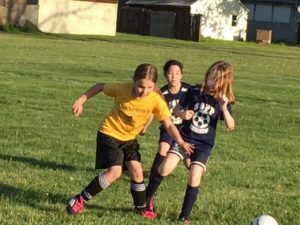 After 2 unanswered goals, Brooklyn S. scored the first goal of the season with a high kick over the St. Amelia’s goalie. After some serious celebration on the sidelines, the Knights stayed focused. 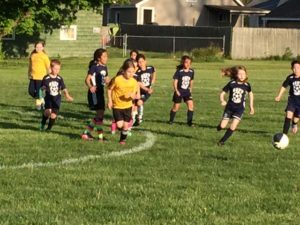 St. Amelia’s answered back with another goal. 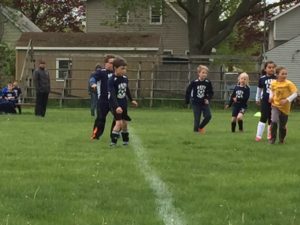 Solid defense and passing by Jude V., Cara M., Caden S., Monica K., and Cecelia D., enabled the strong offensive force of Noah Y., Ian B., Michael Q., and Brooklyn S. to move the ball back down the field. The Knights were determined to win and not let St. Amelia’s offensive strike go unanswered. Noah Y. put an two more goals in the net to tie the score at 3. 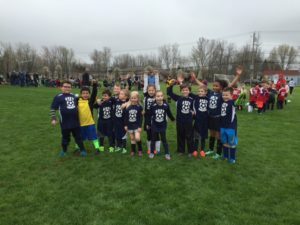 St. Amelia’s would not go down without a fight and despite some phenomenal saves by Carly A. and Ian B., they were able to squeak two more goals in. Knights Mite Team 1 wins in attitude, endurance, and teamwork despite falling to St. Amelia’s on the scoreboard this week. We look forward to our next game on Wednesday at 5:00 pm. 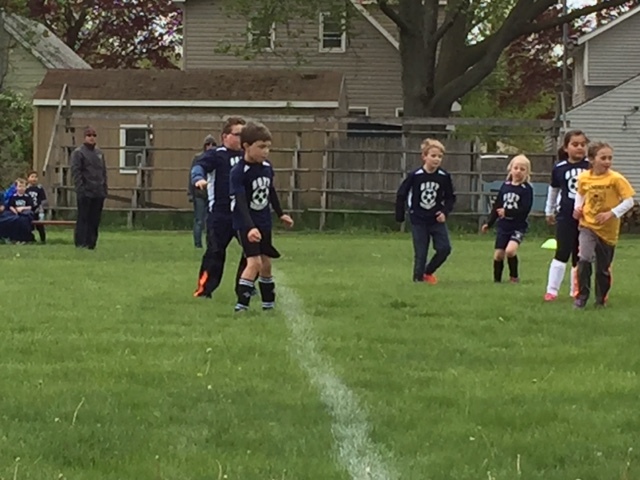 After a tough fight, the SSPP PeeWee team (3rd and 4th graders) lost their first game to St. Andrews Country School score of 4-2. 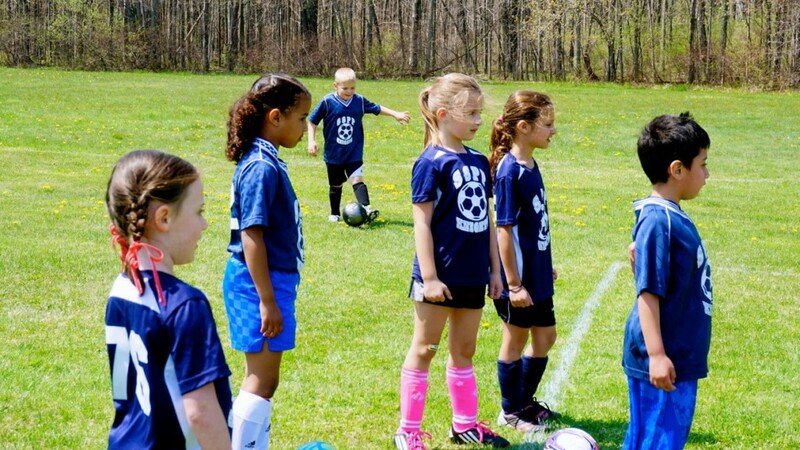 Amelia M and Gabrielle A scored the 2 goals for SSPP. Liam M did a great job in goal. 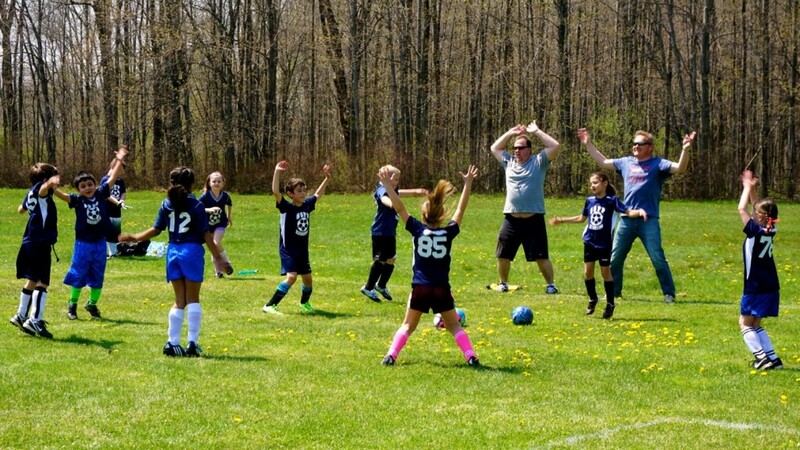 The entire team worked extra hard as they were missing several players due to a choir concert. 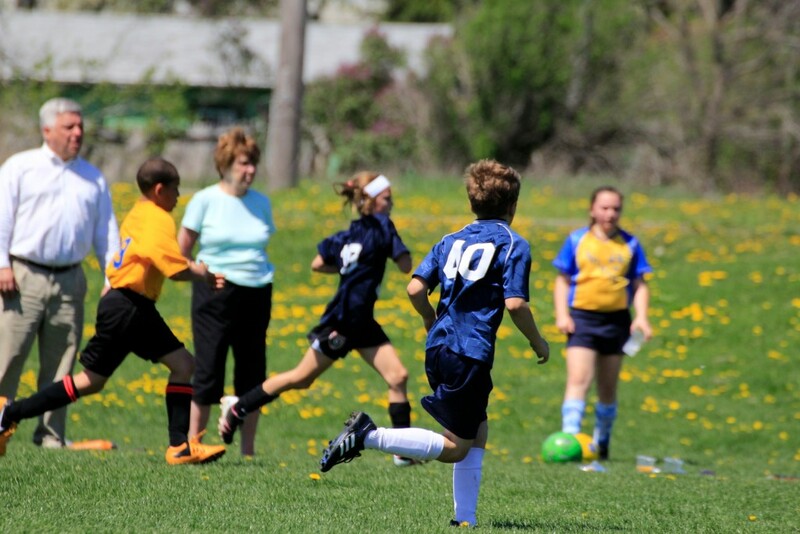 Their next game is Sunday, May 10th at 3 pm at ECC North when they will match up against St. Greg’s. 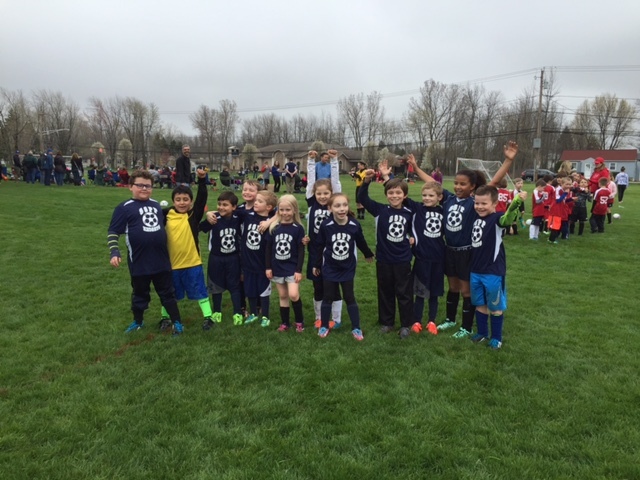 Knights Mite Team 1 played with enthusiasm and effort in their first game against St. Christopher’s on Sunday. Noah Y., Michael O., Carly A., Michael C., and Ian B. did a great job moving the ball down the field. Cara M., Cecelia D., Jude V., and Monica K. were solid defenders against a strong offensive attack waged by the St. Chris team. Caden S. and Brooklyn S. had some great saves in goal. Despite an outstanding effort, Knights Mite 1 team fell to St. Christoper’s Mite Team 1… The team looks forward to a rebound and win this Thursday against DeSales Mite Team 1. Come on out to cheer them on!